Last edited by WEDEL.1; 09-01-2015 at 12:06 PM. 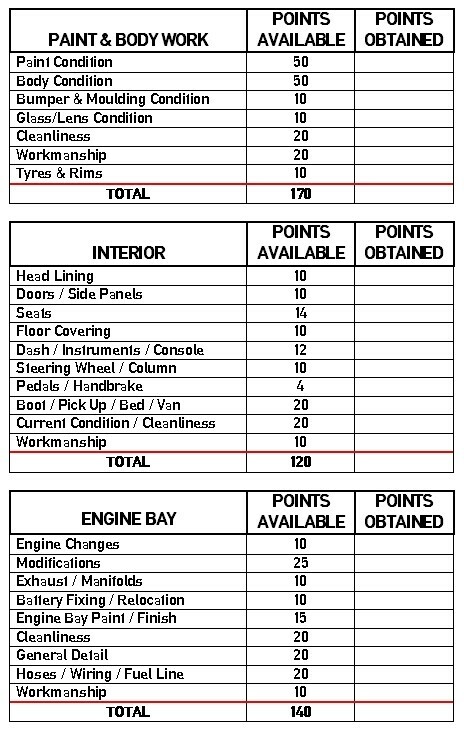 The Judging Criteria has been added to the original post. 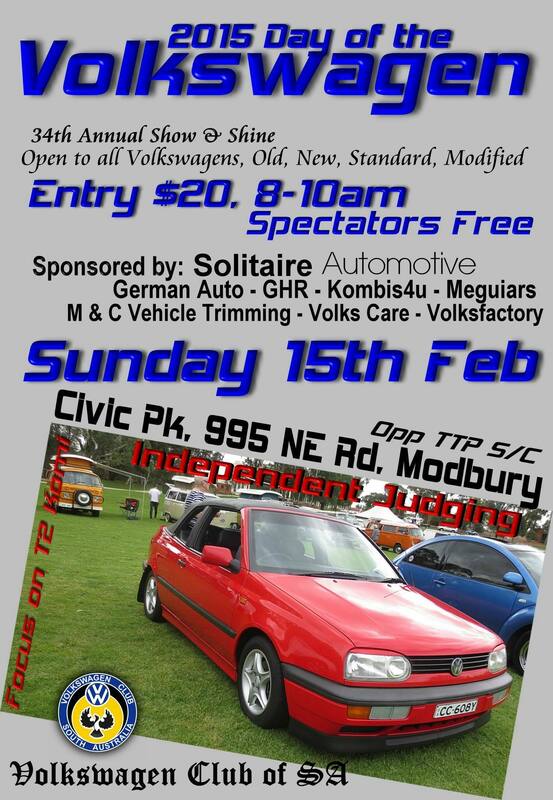 The weather forecast for our annual Day of the Volkswagen Show & Shine on Sunday the 15th has been upgraded from 34 Degrees to 39 Degrees. I can assure you all that the Show will go on! If you have a shade tent, bring it along. The VWCSA will have a large bottle Sun Screen available for use FREE of charge. There are also lots of trees around the perimeter and of course, the park has a lush covering of grass. There is also the Rotunda located at the northern side. You also have the option of spending some time in the TTP Shopping Centre or the Modbury Hotel. There will be plenty of drinks available for purchase on the Park to make the “Day” as comfortable as possible. Remember, if the Victorians can get 250+ Volkswagens on the Park while it’s raining (until 12:30), then a little sun is not going to stop us! So how did the day go. Sorry to take sooooo long to reply. The Day was reasonably well attended despite the 39 degrees, but numbers were well down. 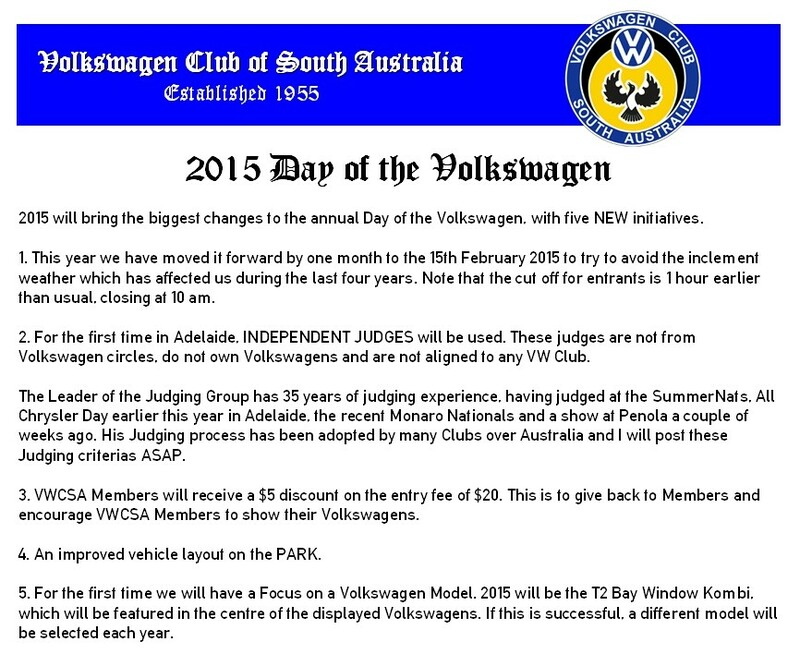 As for VWCSA Members assisting in the event and whinging about the judging results, well let's say I resigned from my position as President and I have not taken any further part in the Club.